specifically light inside a light box, which I made. 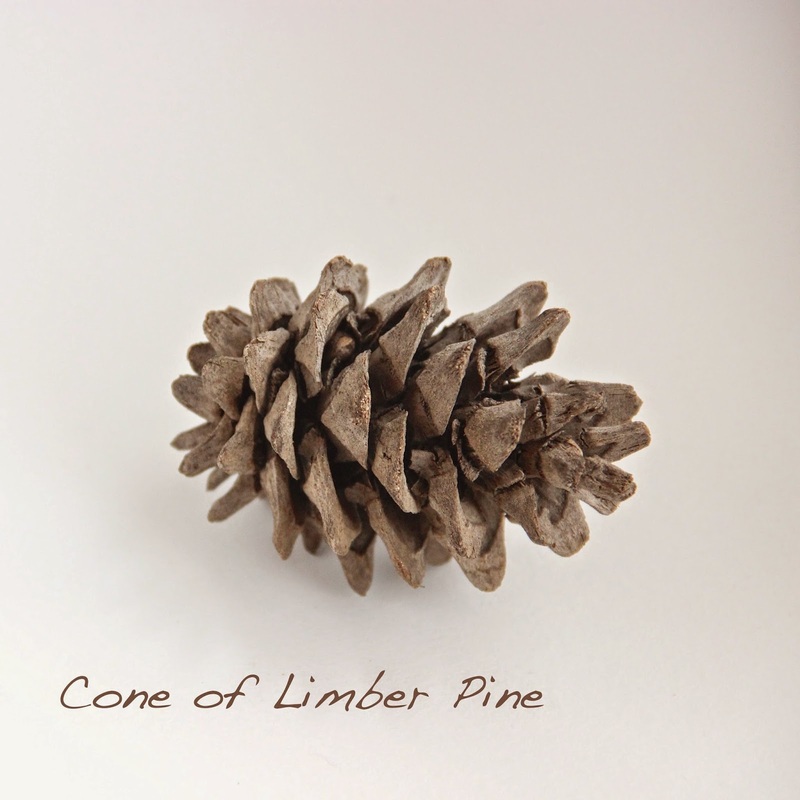 The project began a little over two weeks ago when I saw Amanda Peters’s beautiful photos of larch cones. I asked her about them, as did others, and she then explained the process. 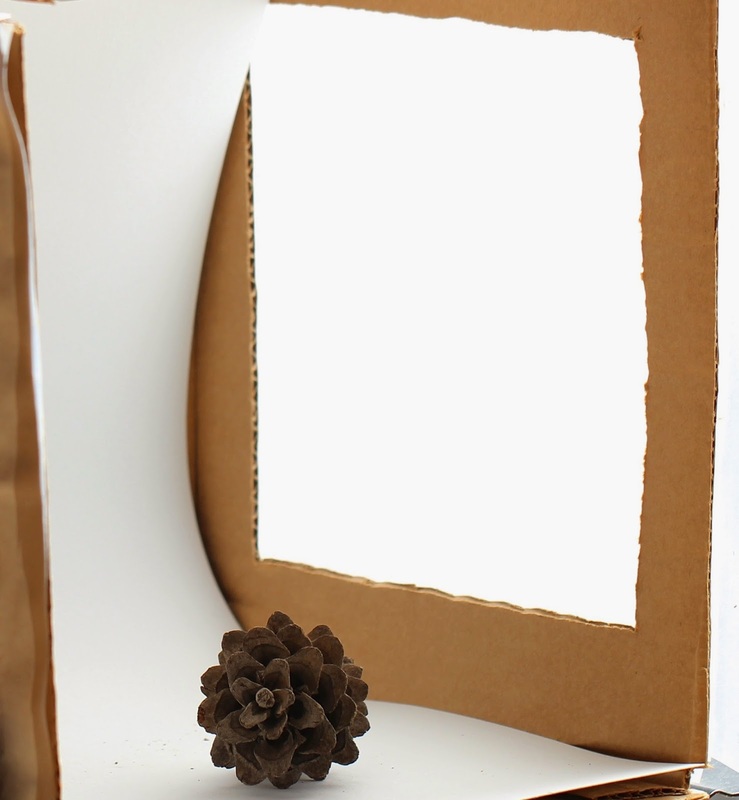 The light box was inexpensive and simple to build, but using it was another matter. I had to experiment … a lot. Most of the 366 shots from the first session ended up in the trash. I learned a fair amount from my trials and errors. Of course I could have consulted some of the many webpages on the subject, and I will next time. But honestly, I enjoyed exploring on my own. Because so much of the scene is white, a camera in Auto mode underexposes, making the subject too dark. Fortunately last month I learned about exposure compensation. For most of these photos I set EC to +1, or even +2, and everything in-between (three increments per step). Yet I still had to adjust in iPhoto. Maybe it's time to start checking photo histograms after shooting. My light source was sunlight through a window. But the day was only partly sunny, with clouds sailing by. More light would have been nice. 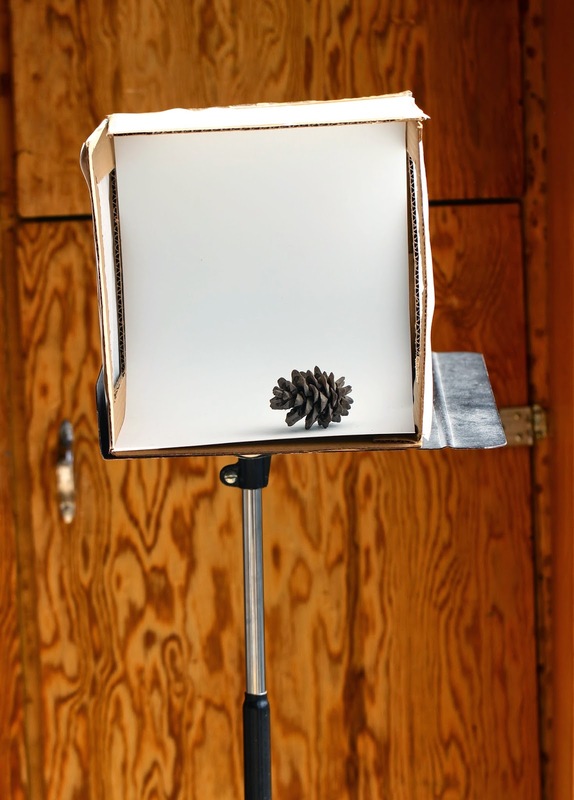 A tripod might help, allowing photos with longer exposures to be more in focus. But even after severe culling, I still had enough photos for a modest exhibition. All post-processing was done in iPhoto … nothing fancy. I’m strictly a wild plant botanist. 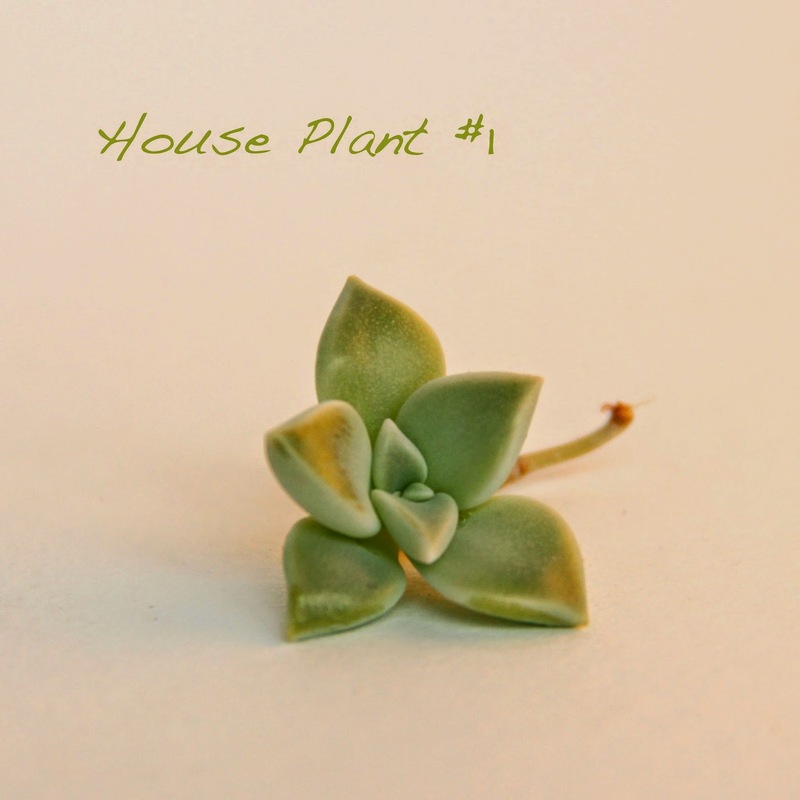 I've never learned the names of the house plants that I bought 24 years ago, along with a house. 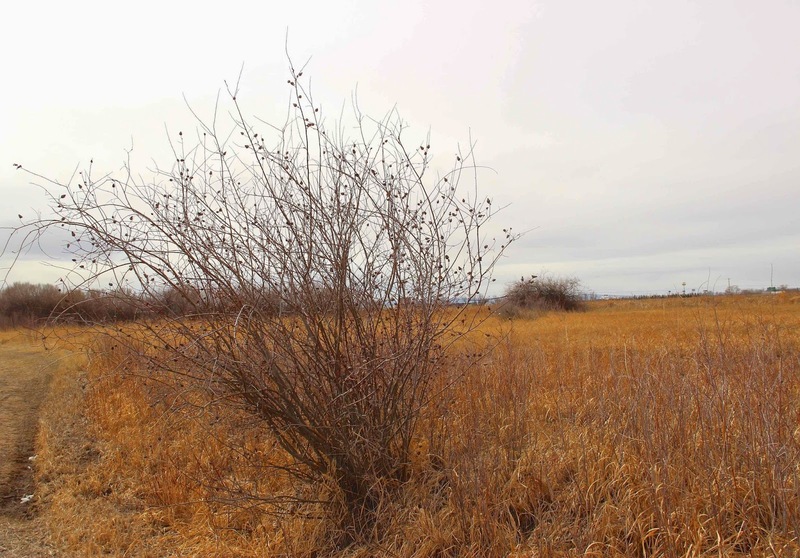 This is the sagebrush that's traditionally burned in women’s sweat lodges. 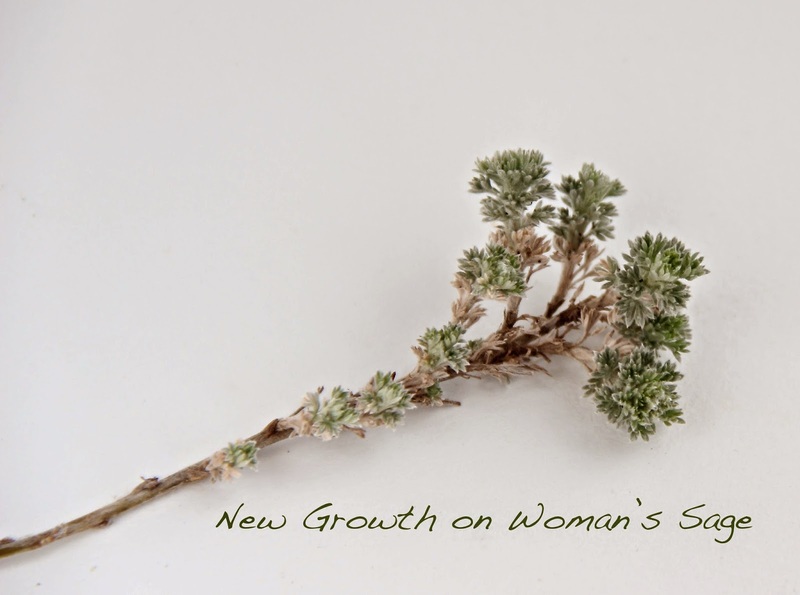 It’s also called fringed sage, Artemisia frigida. Rabbitbrush (Chrysothamnus) in my yard has green stems through the winter. 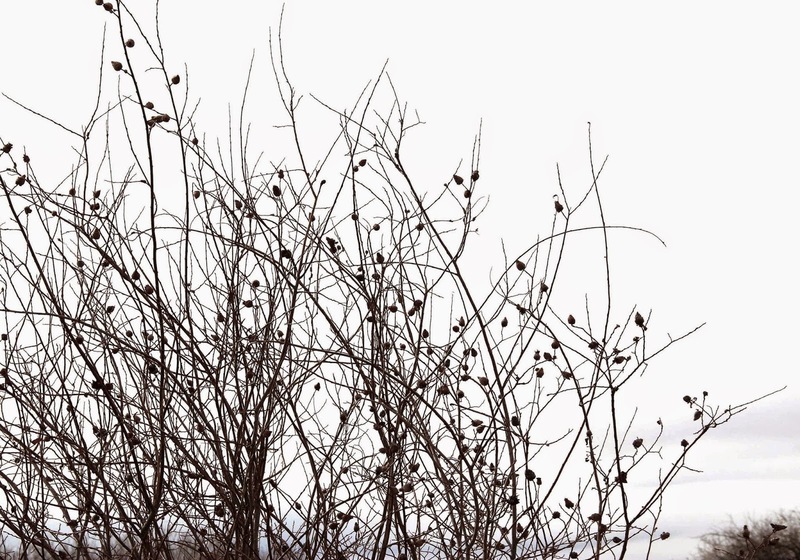 I spotted the buds when I was composing the photo. 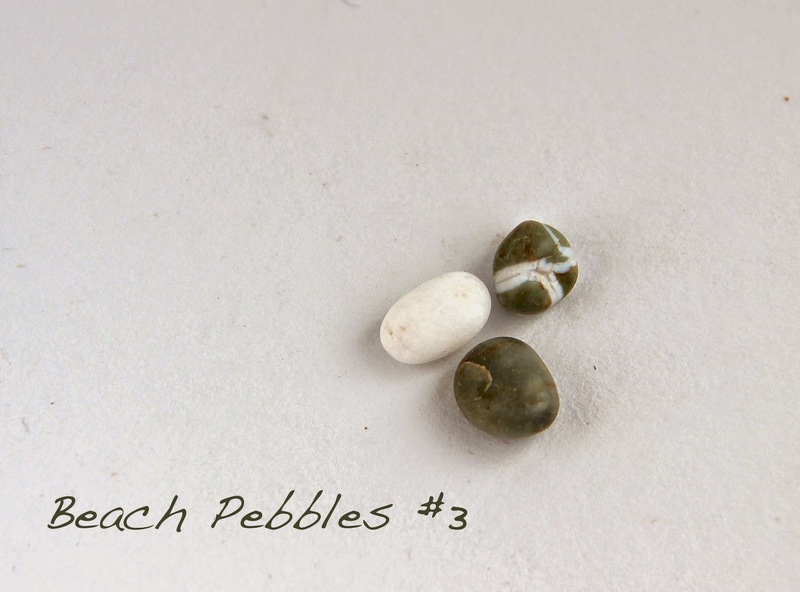 One can never have enough pebbles … nor enough pebble-searching. 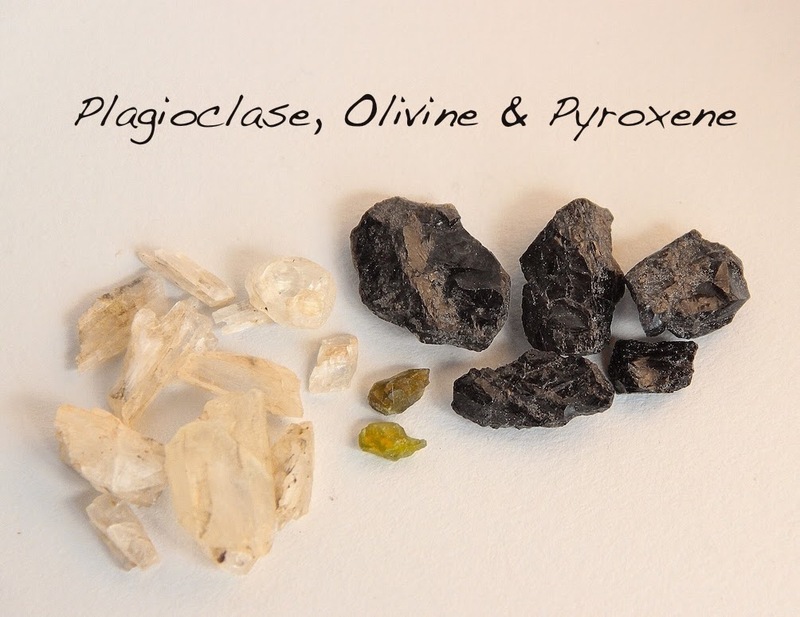 Treasures from the Lunar Crater Volcanic Field in central Nevada. 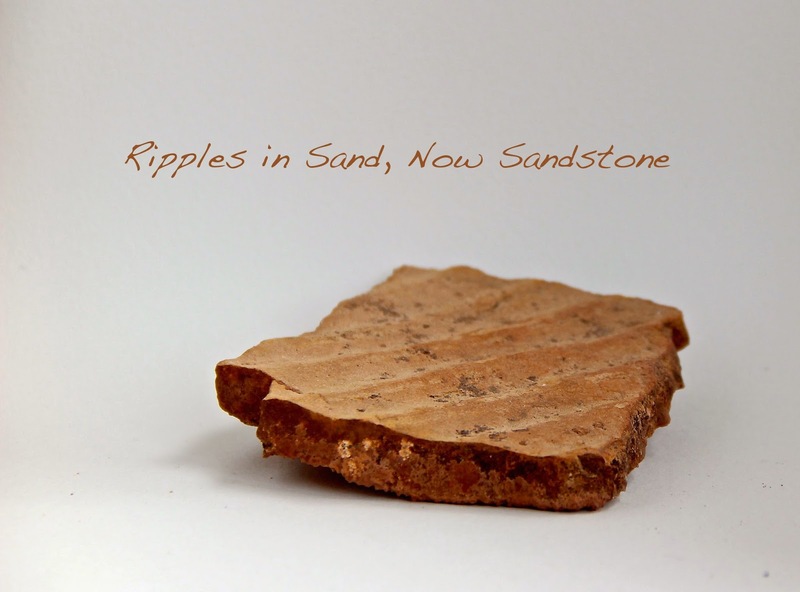 Sand ripples from tidal flats 250 million years ago; San Rafael Swell, Utah. In 1875 Grove Karl Gilbert studied Mount Hillers in the Henry Mountains in Utah. He called it a “laccolite” and thereby made it the type locality for structures now known as laccoliths – uplifts formed by shallow intrusion of magma. 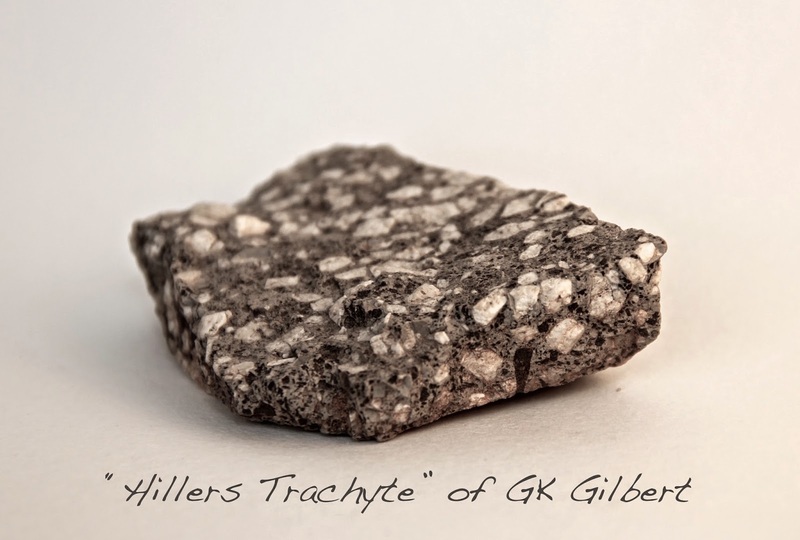 Gilbert was one of the greatest early geologists of the American West. Wyoming has been good to me. For 25 years I made a living traveling to its far corners and obscure non-destinations in search of plants. It rewarded me with spectacular landscapes, fascinating natural history, and surprises. 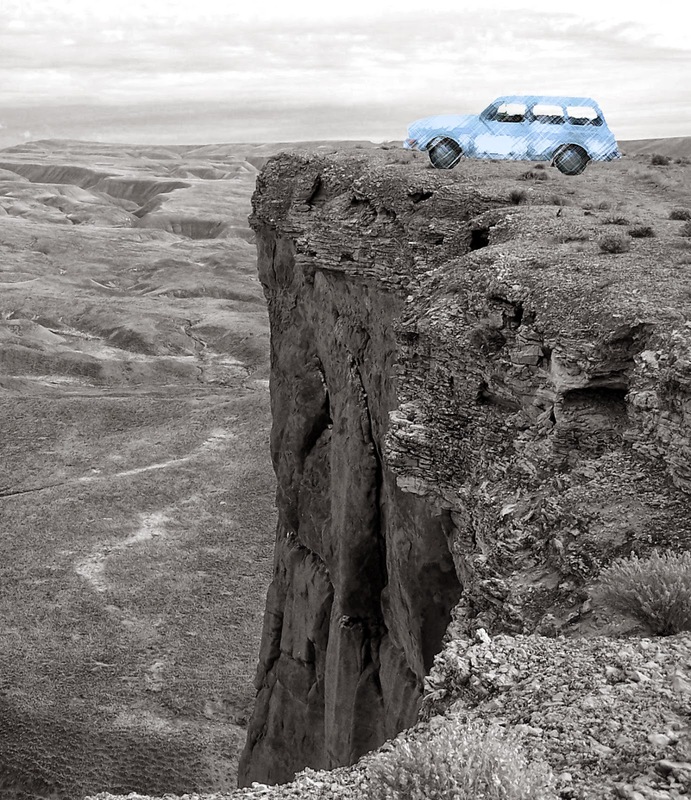 But now in retirement (mostly), I usually go elsewhere – Utah, Nevada, California. This year I resolved to spend more time in my state. Wednesday was to be a gorgeous spring-like day, so on Tuesday I picked a place I’d never visited, did a little research, and left home early the next morning. It would turn out to be a perfect outing. 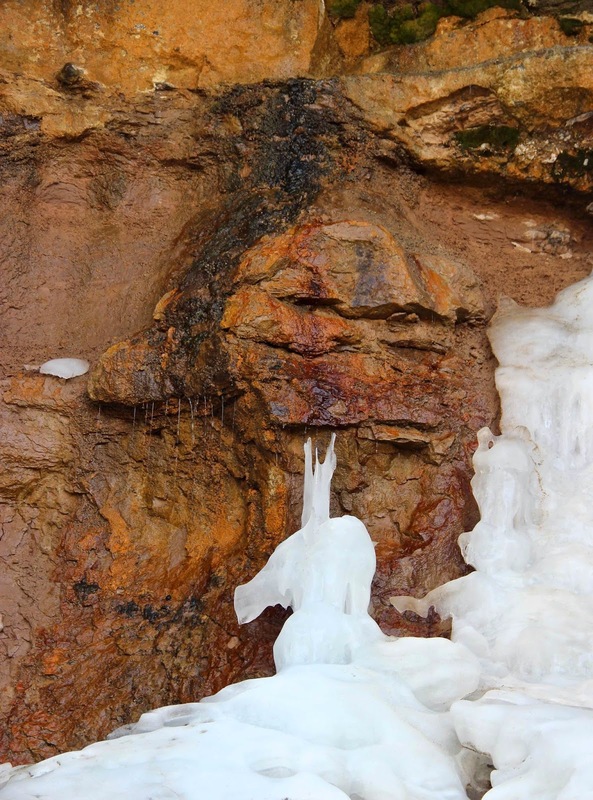 A not-particularly-scenic part of the state revealed itself to be beautiful, fascinating, even magical. That trip was less than two weeks ago yet already it seems like a dream. But then maybe I was dreaming. For you see … I came upon a unicorn! 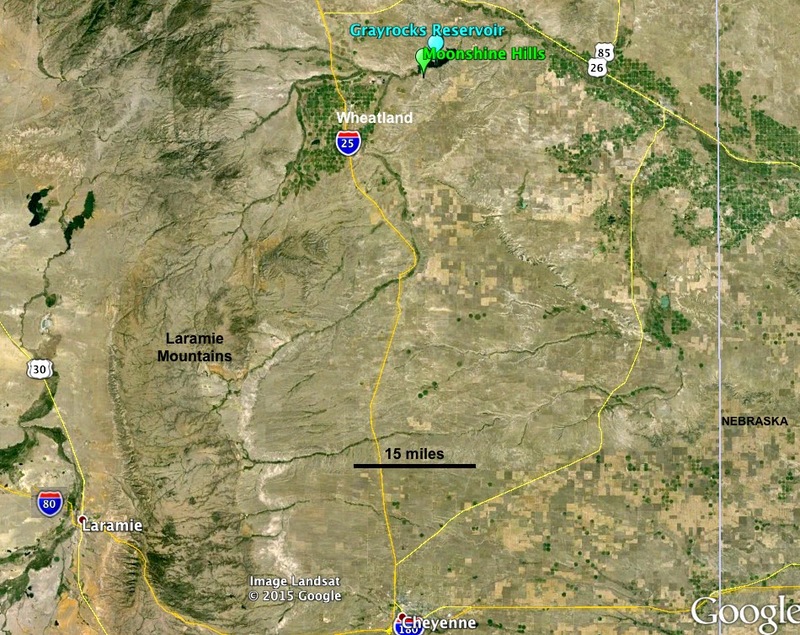 Moonshine Hills and Grayrocks Reservoir are northeast of Wheatland, WY. Google Earth view. 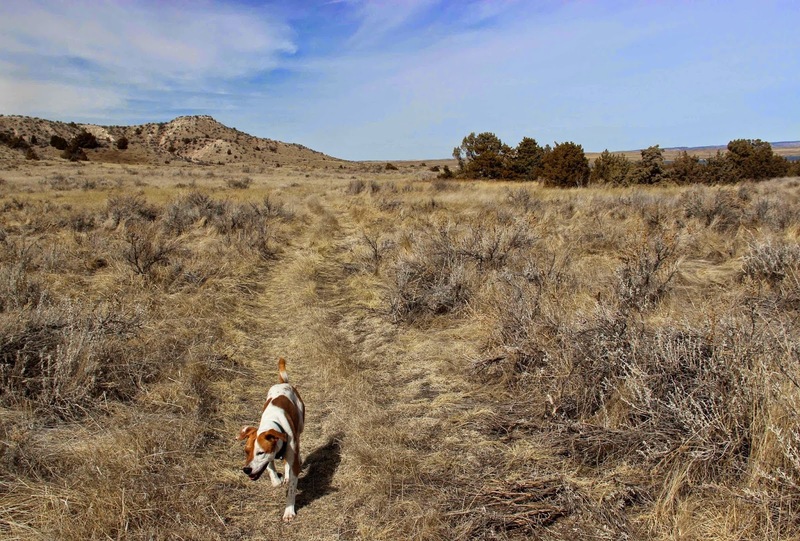 I drove northeast from Laramie to the western edge of the Great Plains – the open rolling grassland country around Wheatland. Destinations were the Moonshine Hills and Grayrocks Reservoir. Few people know of the Moonshine Hills. Ownership is private; access requires permission. 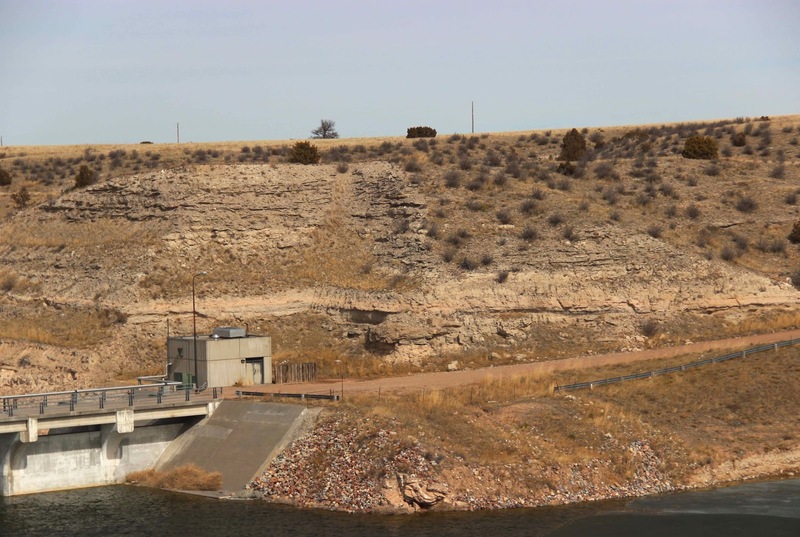 Grayrocks Reservoir is more popular, mainly for fishing. 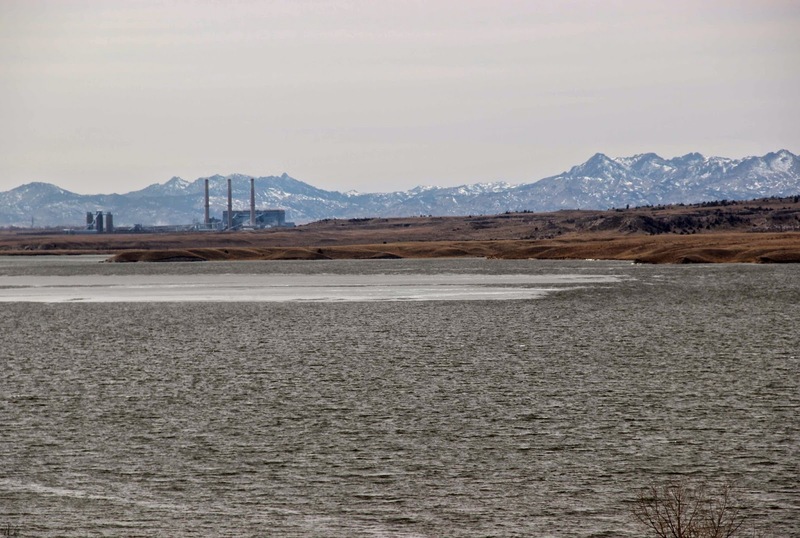 View west from dam overlook: Grayrocks Reservoir, Laramie River Power Plant, Laramie Mountains. 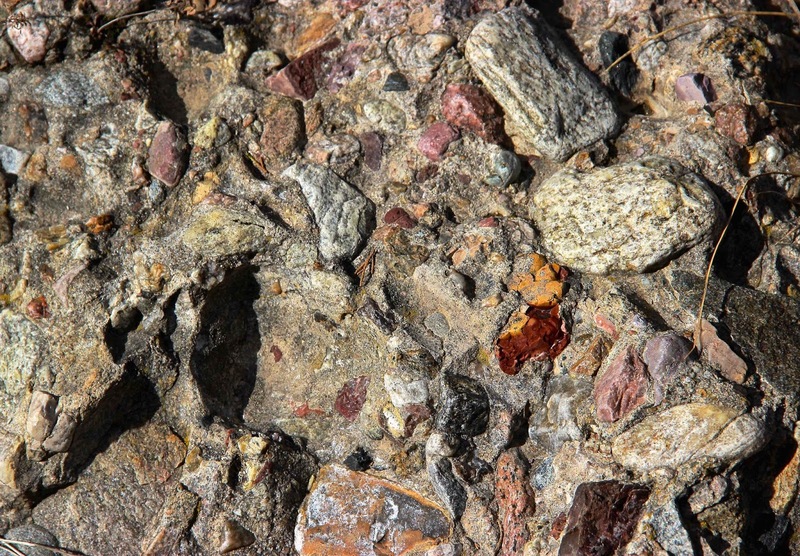 2. find the “gray rocks” of Grayrocks Reservoir. The Precambrian objective was quickly met. I had with me Laura McGrew’s 1953 thesis about the geology of the Grayrocks area. 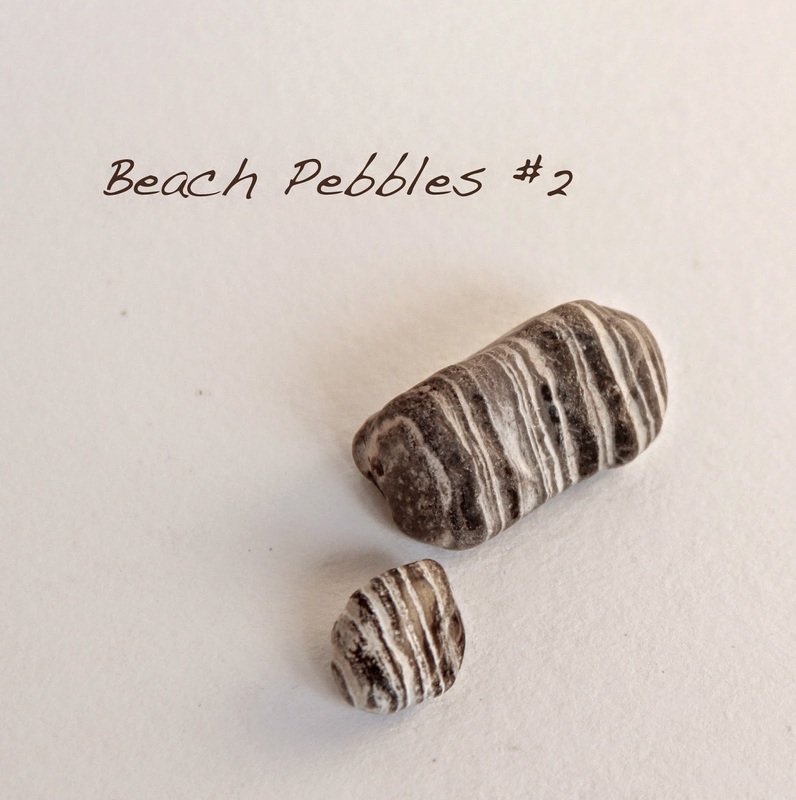 She had clearly indicated two small Precambrian outcrops on the beautiful hand-colored map in the back pocket. Both were visible from the county road. 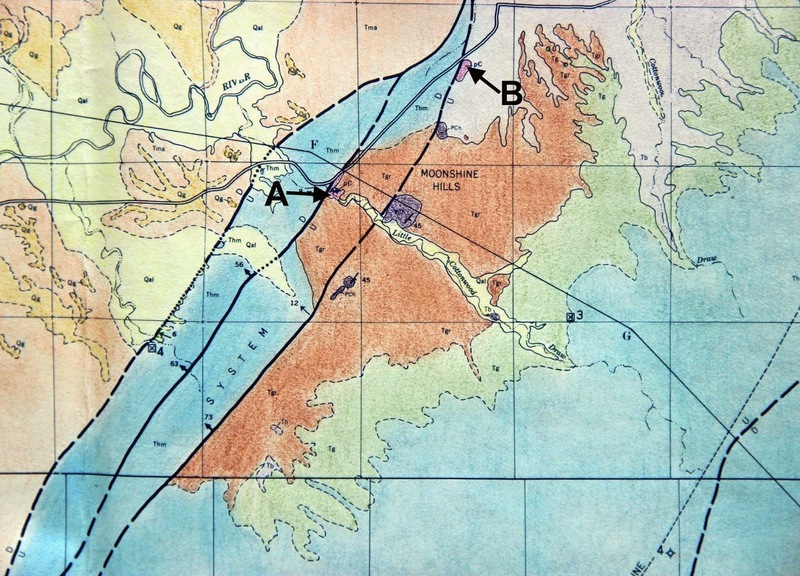 From map by McGrew, 1953. Added letters refer to photos below. Precambrian outcrop A across creek, looking southeast from pullout. Precambrian outcrop B, looking northeast from road. These outcrops include schist, gneiss, quartzite and granite. 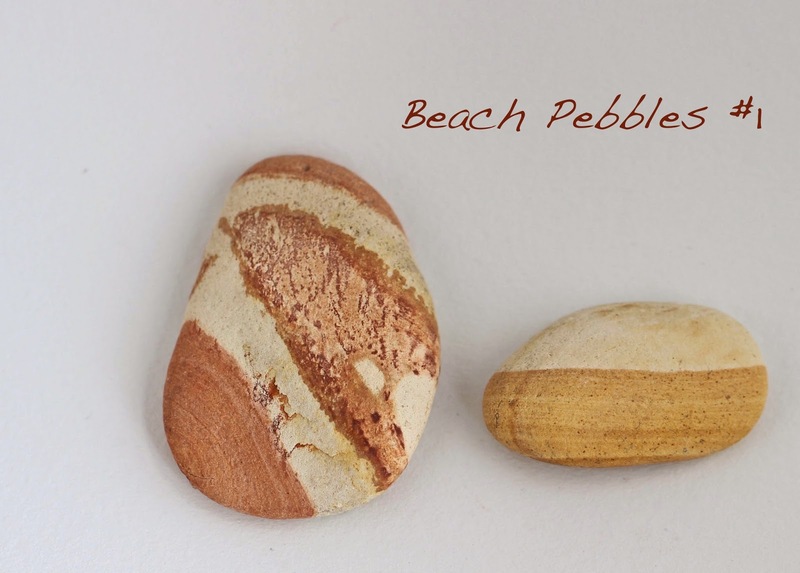 They’re thought to be part of an eroded uplift now mostly buried under younger sedimentary rocks. 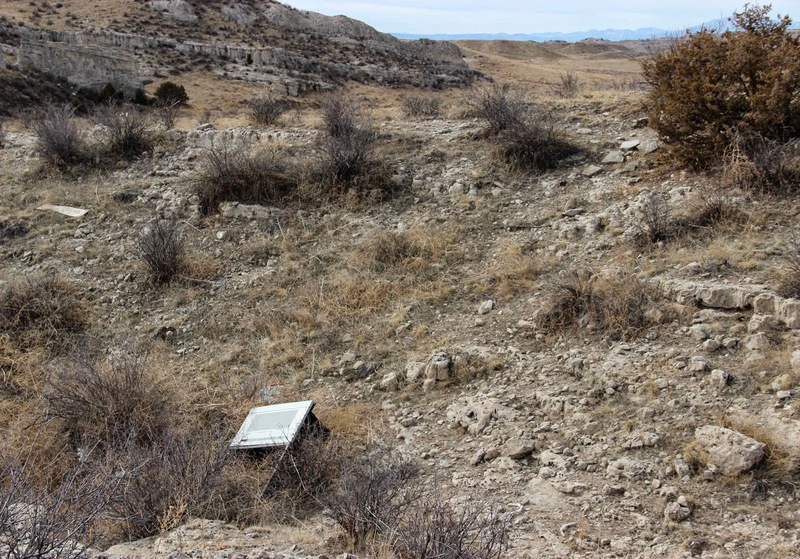 It probably dates to late Cretaceous-Paleocene time, contemporary with other Laramide features such as the Hartville Hills to the north and the Laramie Mountains to the west (McGrew 1953, Blackstone 1996). 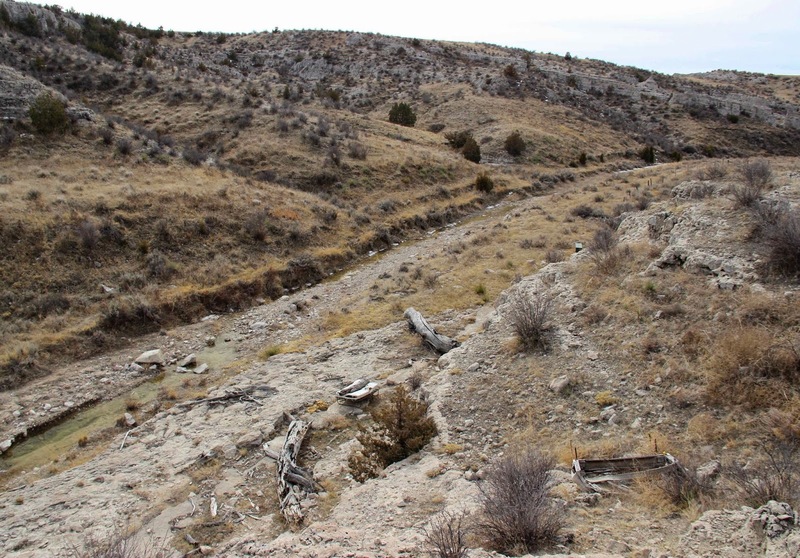 In her thesis, McGrew also described gray rocks – part of the Gering Formation of the Arikaree Group. 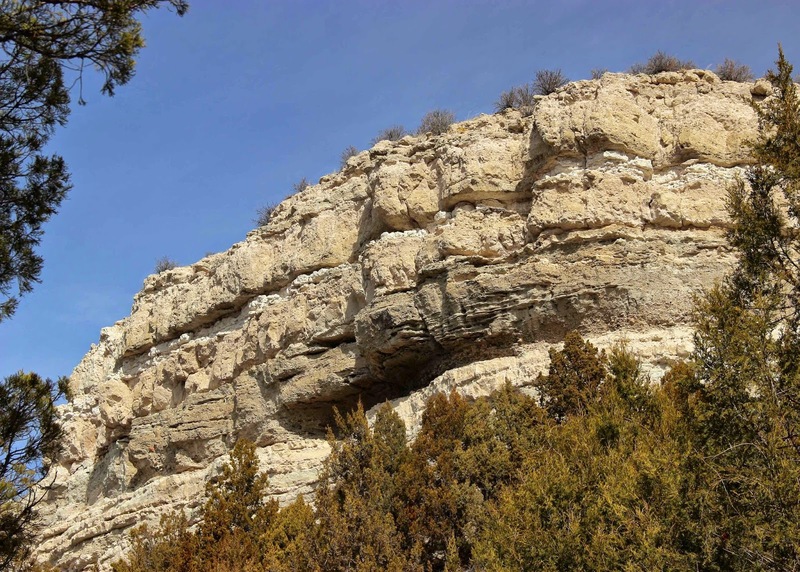 She recognized two facies (subunits), including a “gray, well-consolidated conglomerate.” Blackstone (1996) noted that “Grayrocks" refers to an old rural post office named for gray cliffs nearby. I went looking for well-consolidated gray conglomerate cliffs. Layers of gray rocks are common around the reservoir, visible here on slope beyond dam. At the time of McGrew’s work, the Gering was thought to be earliest Miocene. Now it’s usually considered late Oligocene, roughly 25 million years old. 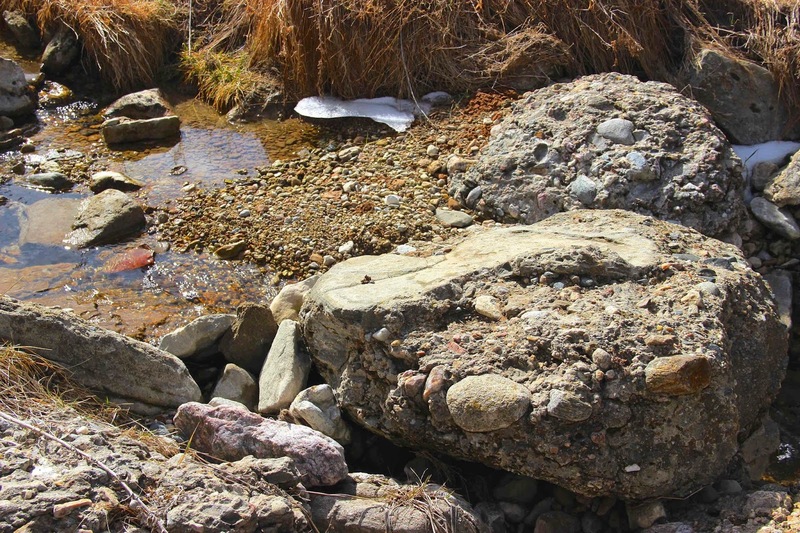 The conglomerate is the lithified remains of stream channel deposits. 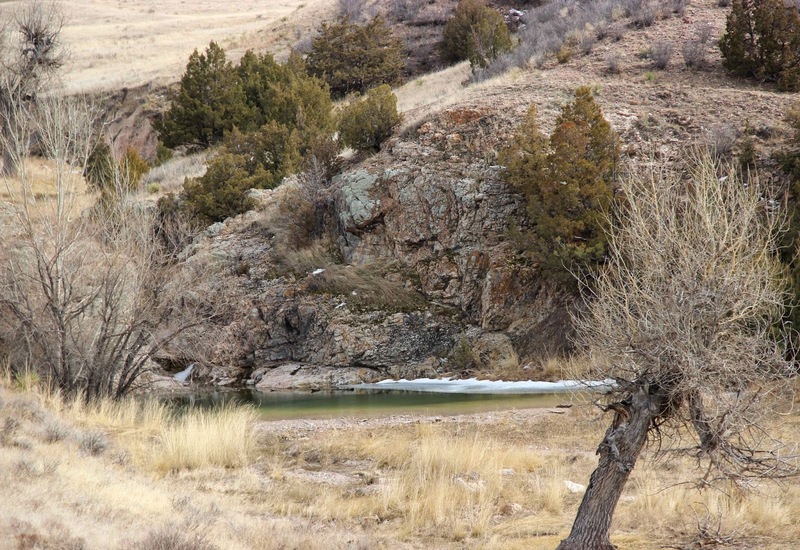 The Gering Formation is well-exposed around the reservoir but ownership is mostly private. 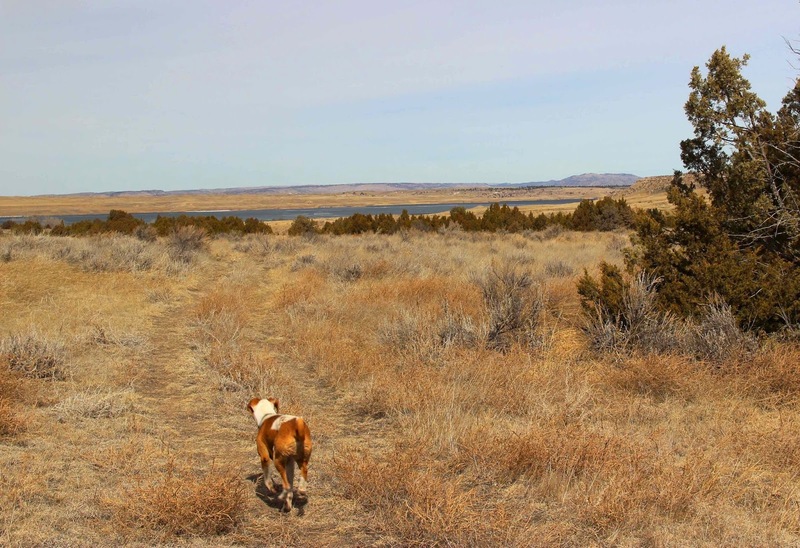 Fortunately a small Habitat Management Area lies just off the county road about three miles southwest of the dam (HMAs are public hunting areas created through agreements with landowners). 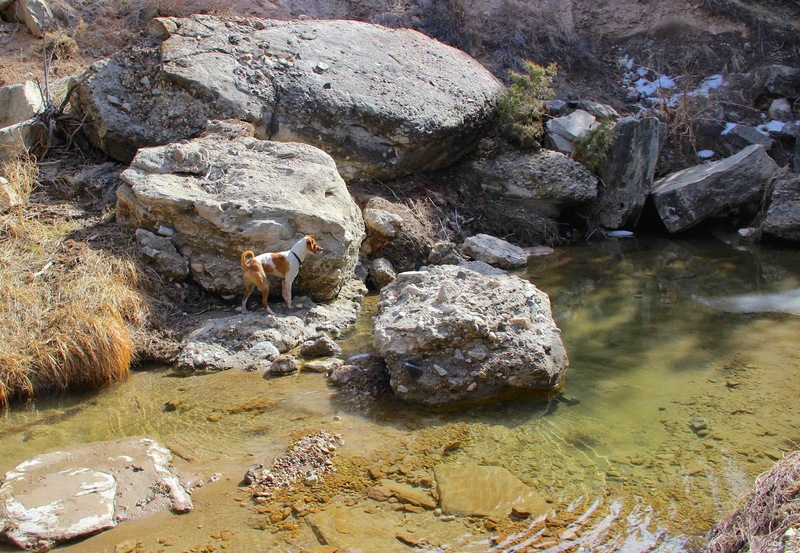 There was no season underway and no one else around, so I parked at the trailhead and walked up Cottonwood Creek. Not far from the trailhead. Grassland with sagebrush; Rocky Mountain junipers grow in drainages and on canyon rims. The creek was just a trickle and there were no cottonwoods, but the country was still beautiful. It was great to stroll through juniper woodland on a spring-like day. 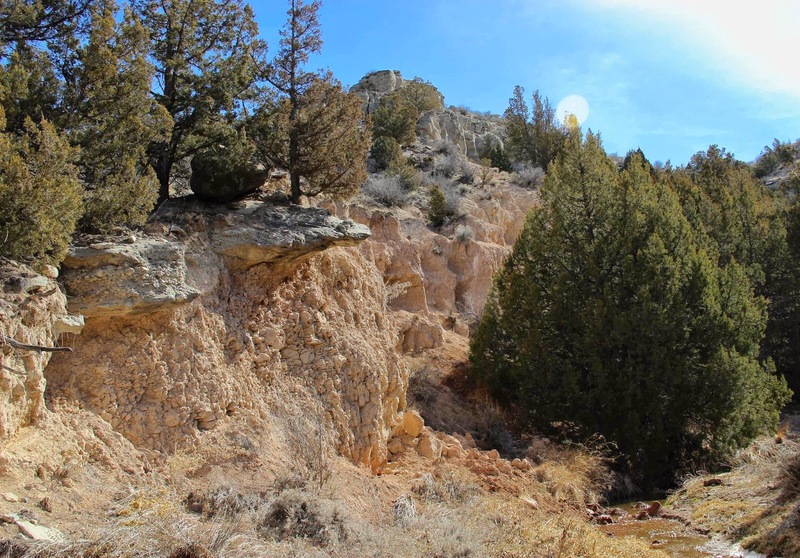 Juniper woodland in Cottonwood Creek drainage. 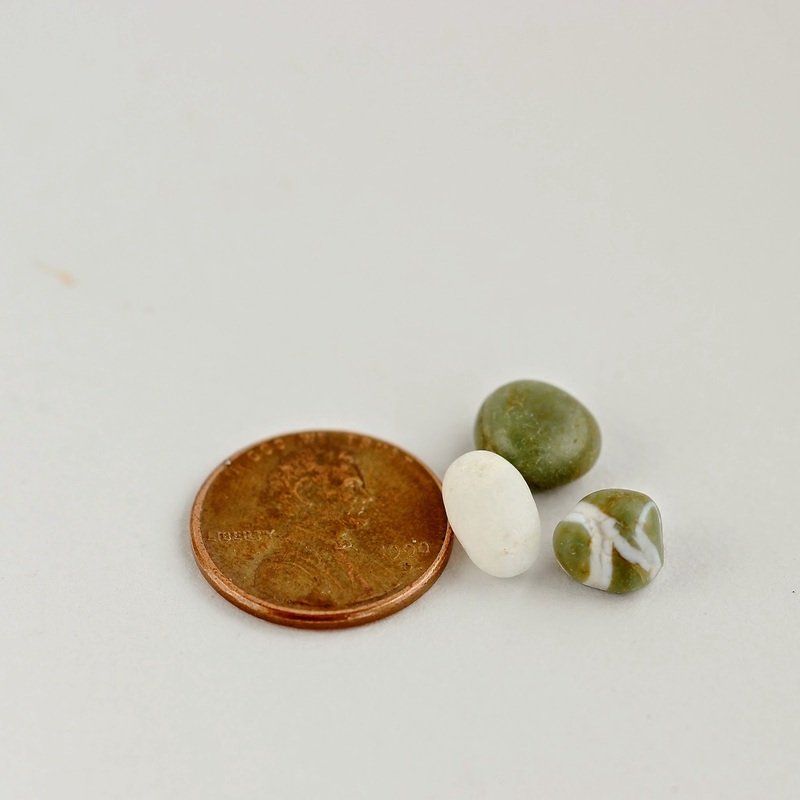 I liked the varied composition of the conglomerate ... made it photogenic. The conglomerate boulders looked like old blocks of concrete ... with super heterogenous aggregate. Layer of gray conglomerate in cliff above creek. 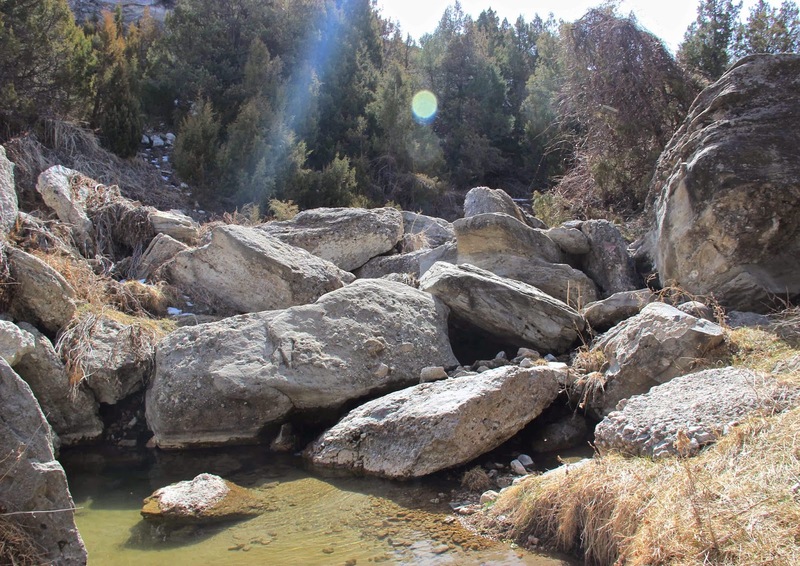 The drainage narrowed into a canyon with more boulders and more water. 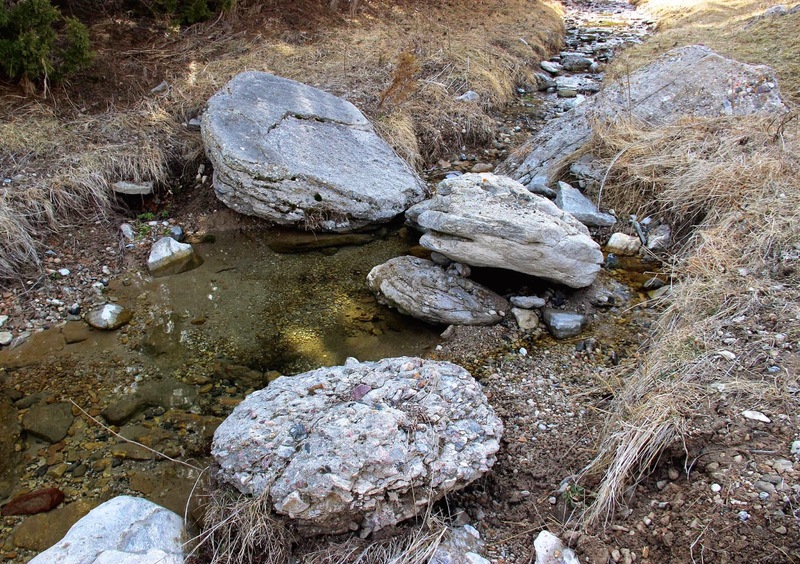 The creek gurgled over rocks and fell into small pools. There were occasional cottonwoods. The trail disappeared, but it was easy enough to keep going upstream. Then conditions began to deteriorate. There were more and bigger boulders, cockleburs, mud, fallen trees, and eventually snow and ice. Was it worth continuing? The gentle and pensive maiden has the power to tame the unicorn. 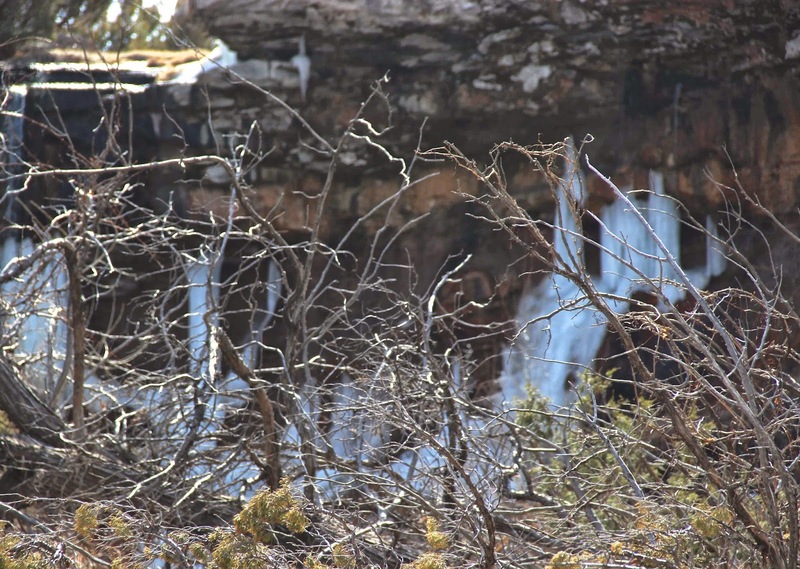 I caught a glimpse of ice on cliffs and realized this was the head of a box canyon. I picked my way through ice and snow to a sitting spot. 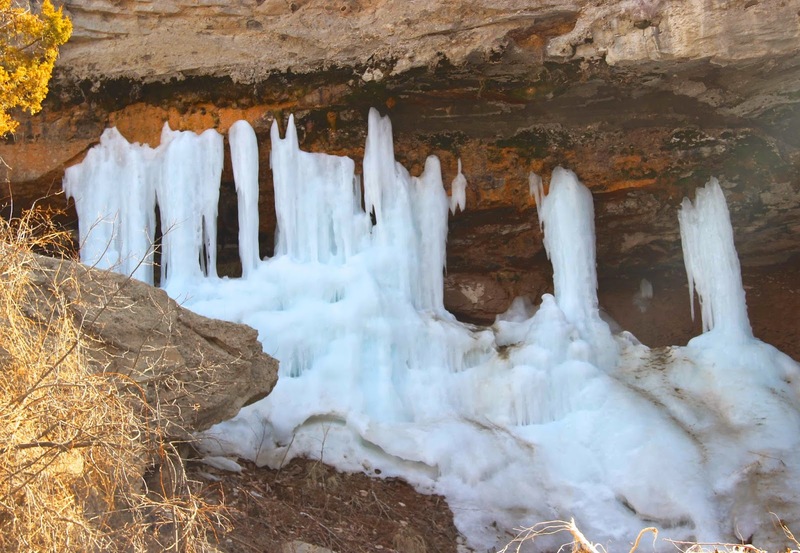 It seemed like a fairy-tale place: a small waterfall rushed over the cliff, and ice decorated the canyon walls and floor. 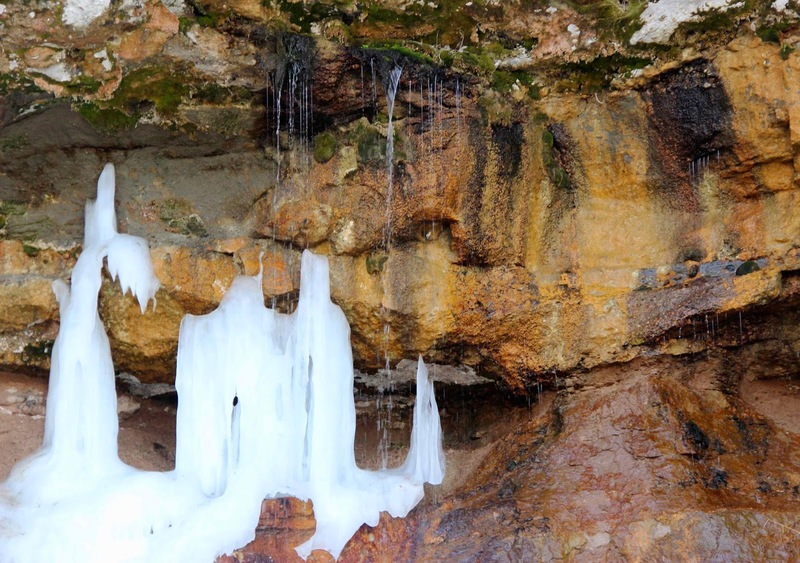 The alcove faced north, so the ice hung on even though it was a spring-like day. 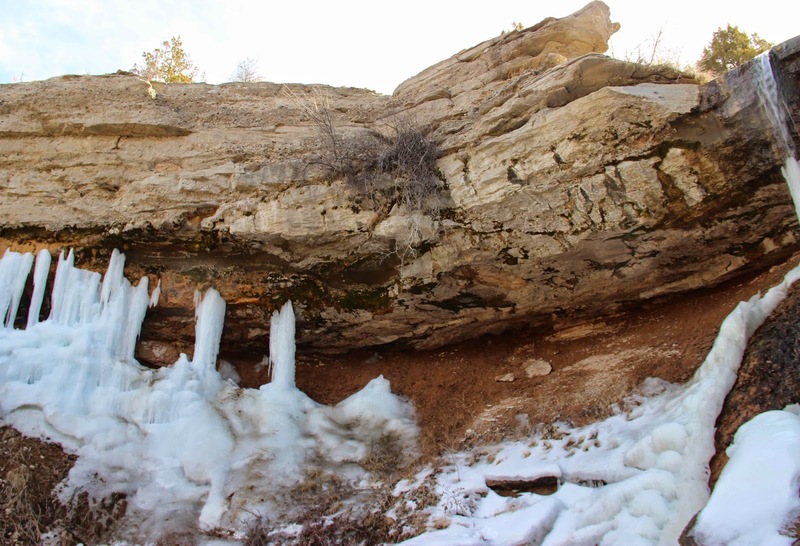 In some places water seeped from the rock to form ice sculptures (note healthy moss). 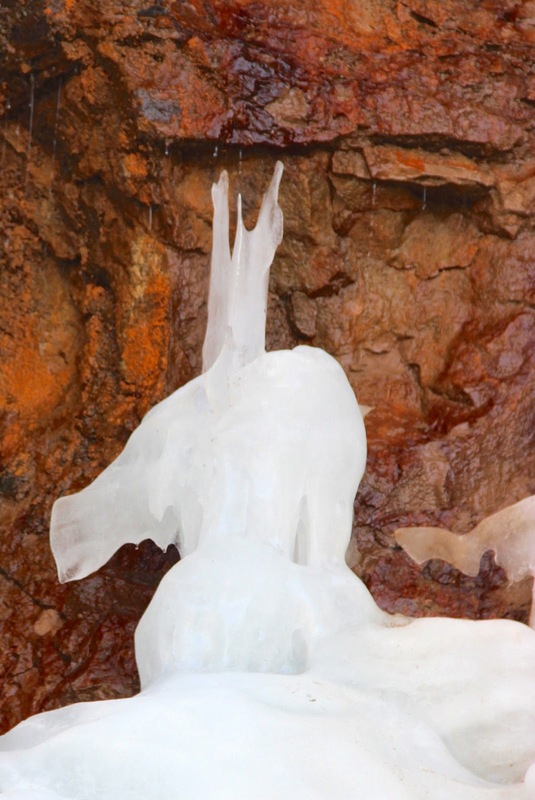 An exquisite crystal unicorn rested against the rock wall. It stood perfectly still, blending in with the ice around it. the unicorn, for the love it bears to fair maidens, forgets its ferocity and wildness; and laying aside all fear it will go up to a seated damsel and go to sleep in her lap. So I got up and left quietly, tip-toeing through the cockleburs, boulders and mud. McGrew, LW. 1953. 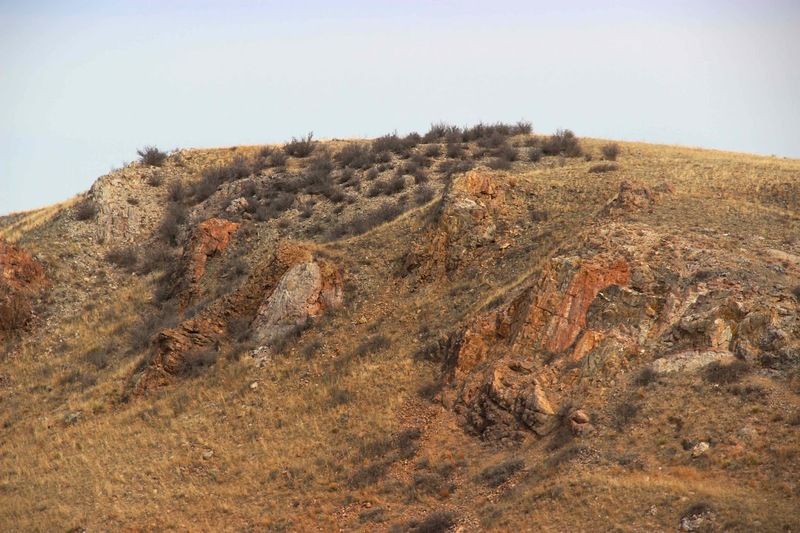 The geology of the Grayrocks area, Platte and Goshen counties, Wyoming. 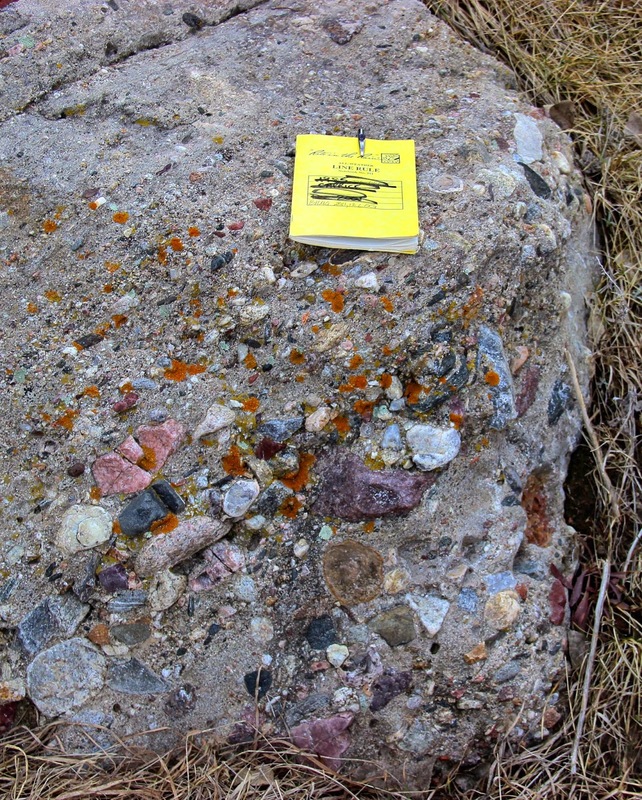 MA Thesis, Department of Geology, University of Wyoming. It was time to do something about all the cones on the willows along the river. They’re so common; some trees are covered in them! People notice, and I’ve been asked many times what they are. I knew they weren’t really cones, i.e. 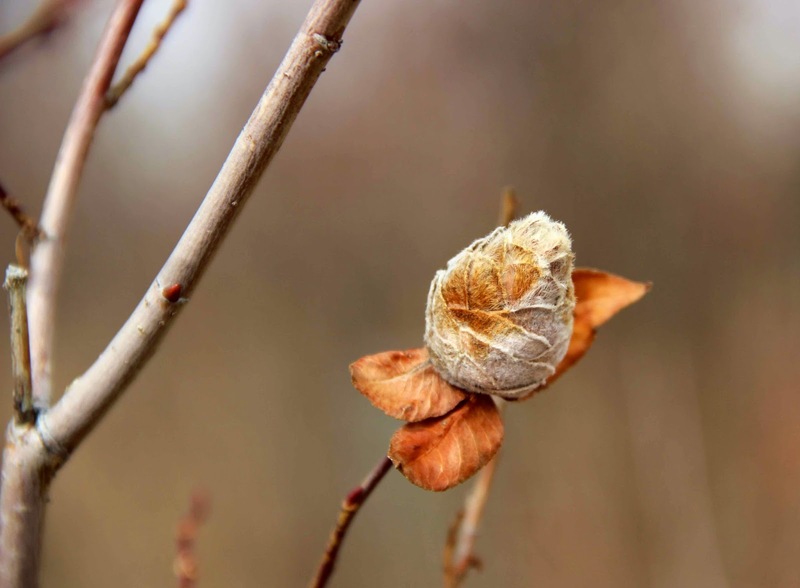 with seeds, but other than that my answers were vague: “probably galls … abnormal growth caused by various things … maybe a virus or insect.” It was time to come up with a better answer. My impromptu response was basically right. These are pinecone willow galls caused by a midge – a tiny fly. 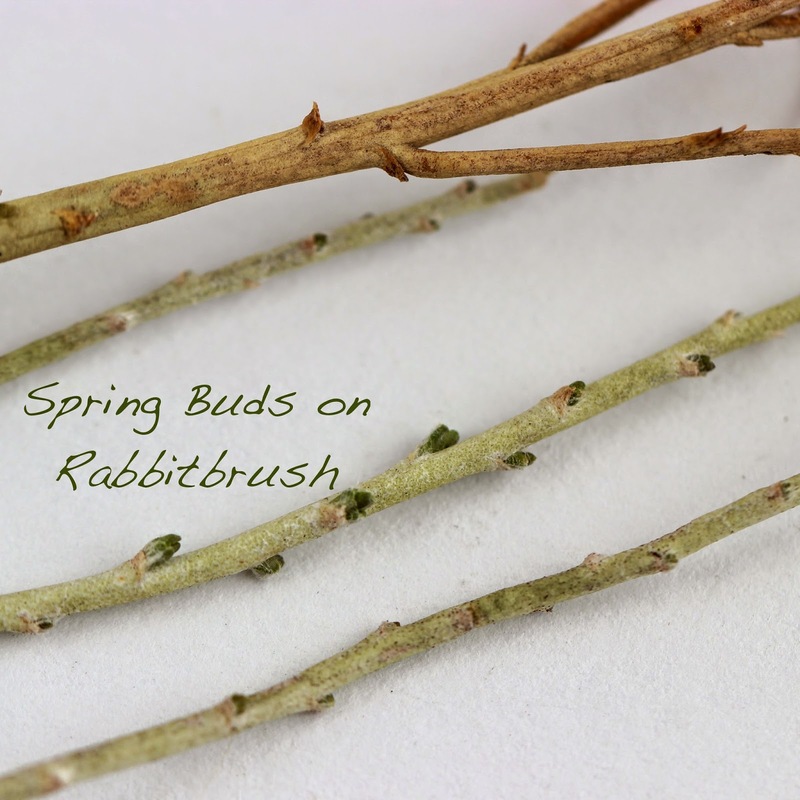 In spring the midge lays a single egg in the terminal bud of a willow twig. 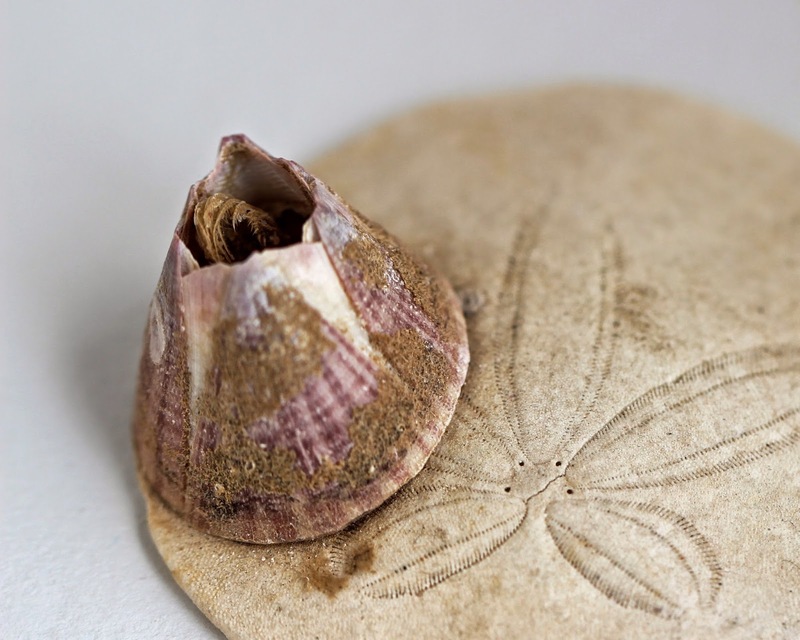 The egg, and the larva that soon hatches, release a chemical that changes plant growth. The twig ceases to elongate, and numerous small overlapping leaves grow at the tip. The willow is now constructing a home – with food – for the larva. Pinecone willow galls are very common in North America, and as their name suggests, are specific to willows. 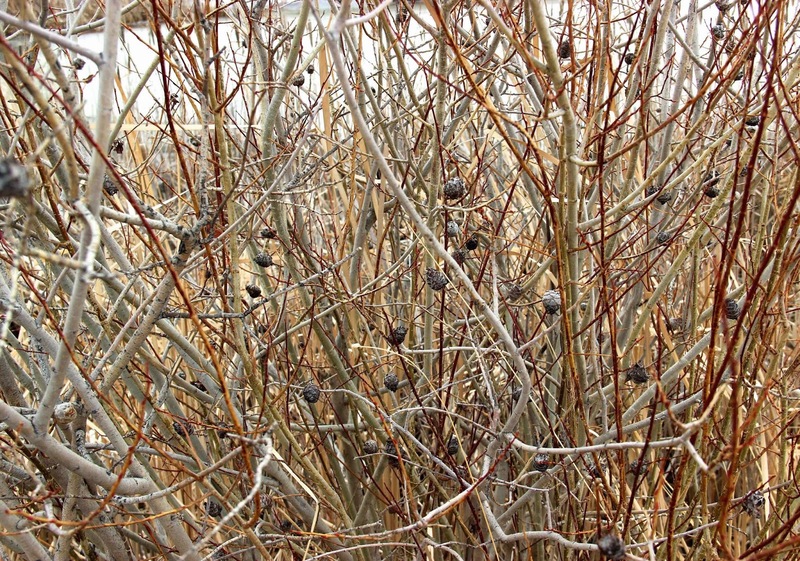 In fact, willows seem to be especially vulnerable to galls, produced by a variety of agents (source). The galls on our willows are the work of the pinecone willow gall-midge, Rhadophaga strobiloides. I collected a gall, took it home, put it in a jar, and had it in mind to watch the midge emerge. I’ve since learned that I probably won’t. The midge is tiny – less than 3 mm long. But the main confounding factor is the diversity of critters that take up residence in pinecone galls – beetles, caterpillars, sawflies, wasps, other midges, and the eggs of meadow grasshoppers all have been found among the scales. 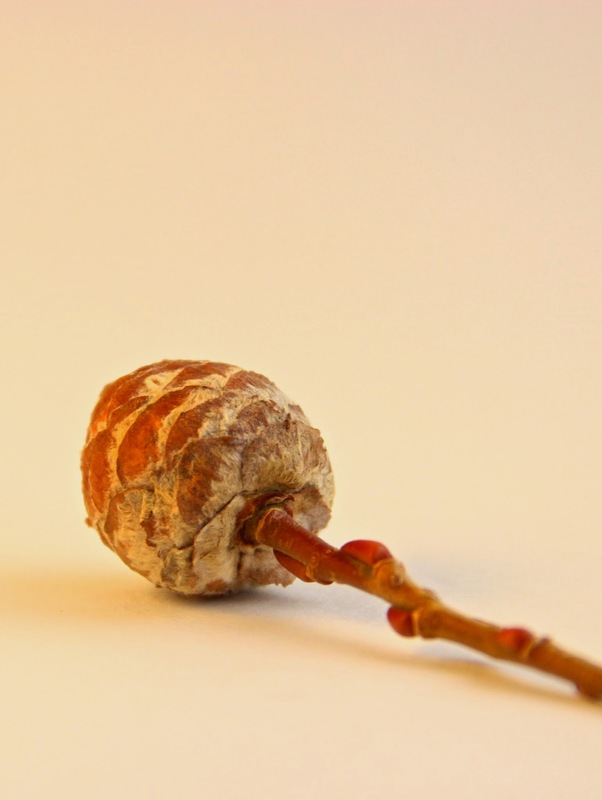 In one study, 564 insects were reared from 23 pinecone galls; only 15 contained the original host (source). Still, I’m curious to see what if anything crawls out. In comparison, it should be easy to watch new galls develop through the growing season. They start as swollen terminal buds, then become little green cabbages made of modified willow leaves. By fall they've turned into tough dry cones. 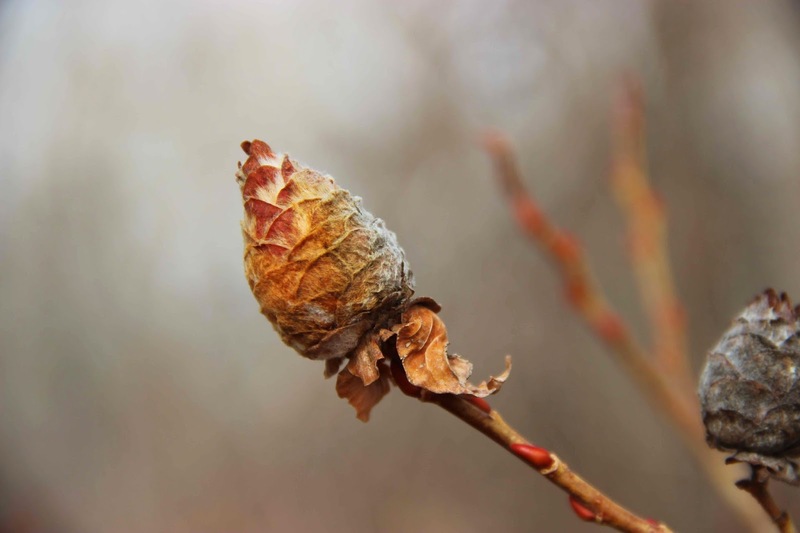 In winter I should be able to split one in half to reveal the super-cooled pupa in its silk-lined home … except that “Given that the [pinecone willow] gall may contain 31 different species of insects, I cannot be sure if this is the grub of the midge that actually made the gall” (source, with photo). Darn. 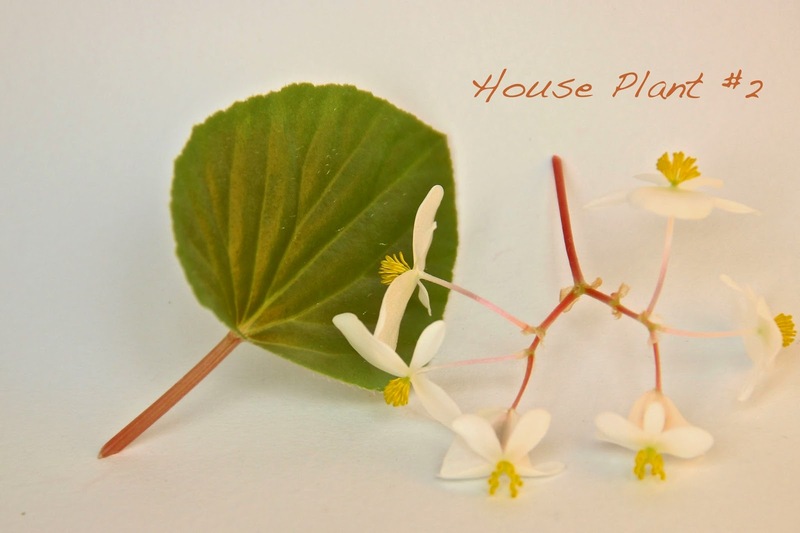 But I'm not surprised … Nature is rarely simple! 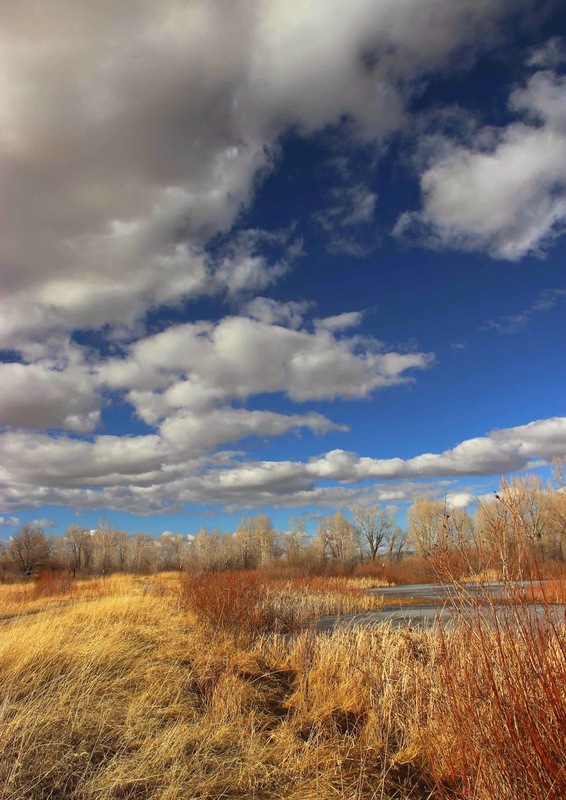 Willows along Laramie River, with reddish young twigs. Weis, AE, and Kapelinski, A. 1984. Manipulation of host plant development by the gall-midge Rhabdophaga strobiloides. Ecological Entomology 9:457-465. Wilson, L.F. 1968. Life history and habits of the pinecone willow gall midge, Rhabdophaga strobiloides (Diptera: Cecidomyiidae), in Michigan. Canadian Entomologist 100:430-433. 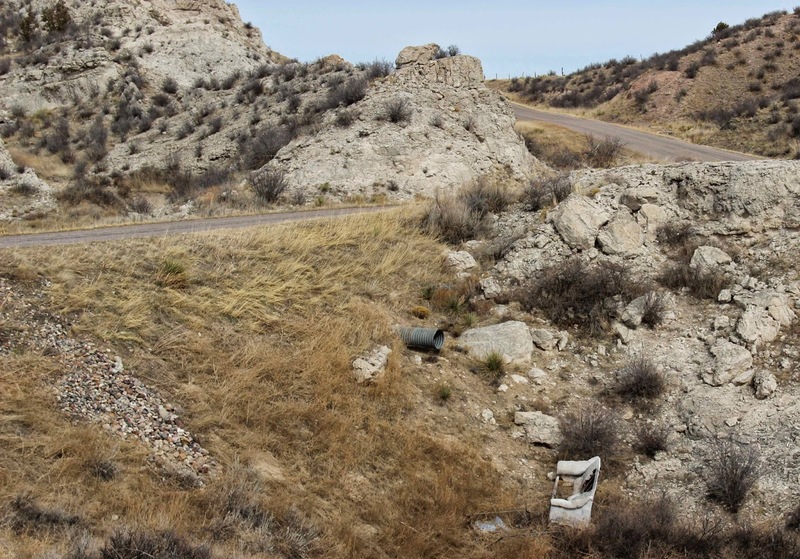 I was driving a narrow winding country road looking for small Precambrian outcrops poking through Tertiary fill. I found one and luckily there was a pull-out directly across from it. I stopped to take photos across the draw. Then I looked down. What I found next (lower right). Draws next to little-traveled roads are convenient places to dump large objects no longer wanted. This one had a small but interesting collection. 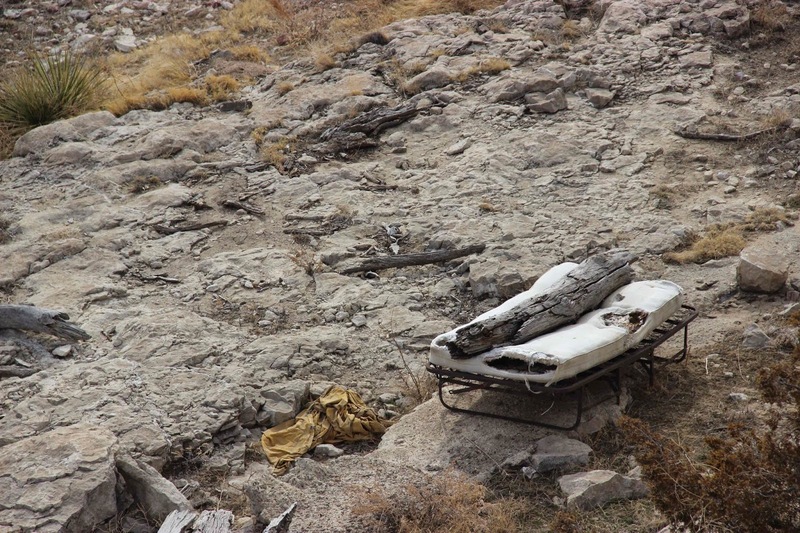 There was the worn-out couch above, and an unidentifiable metal object I first thought was a television. Click on image to possibly identify object. There were several beds, or at least bedsprings. Bed parts – lower right and just down and left of center (click on image to view).